When the average fan thinks of Villanova basketball, Jalen Brunson comes to mind and with all of the right intentions. Brunson won the Big East Player of the Year award on March 7 and came into Friday’s semifinal with a team-high 19.1 points per game, but another player emerged this season in All-Big East first team Mikal Bridges. Bridges is on target to graduate this spring has been the ying to Bridges’ yang with 17.8 PPG on the season and averaged 22.9 points in his last seven games. 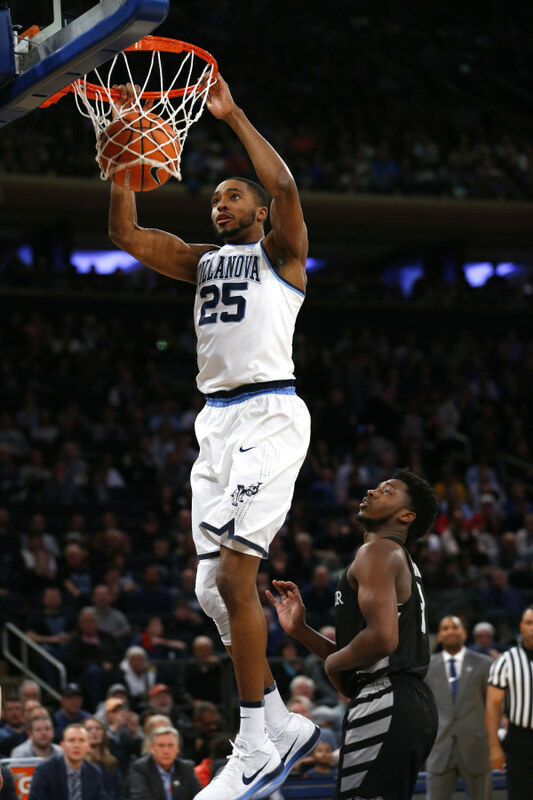 Fresh off a 25-point performance against the Marquette Golden Eagles on March 8, Mikal Bridges continued his stellar play over the last month with a game-high 18 points as the Villanova Wildcats defeated the Butler Bulldogs, 87-68 in the Big East Tournament semifinal round. Bridges set the tone with the game’s first five points, which highlighted a 19-0 run as Villanova kept Butler from developing any rhythm. As a testament to the Wildcats philosophy under coach Jay Wright, Bridges gave credit to his teammates to help contribute to the run. After a career-high 32 points against Seton Hall on March 8, Kamar Baldwin came back down to reality and was held to 12, mainly due to Bridges’ length on defense. Butler coach LaVall Jordan knows first hand what Bridges has brought on both sides of the ball in three meetings this season. With a wingspan at 7’ 0’’, Bridges’ versatile skillset has given other teams across college basketball problems— most notably on defense and was on display against Butler on Friday night. The perimeter defense of Bridges has been a testament to the ability of taking on any challenge Wright puts on the table and accomplishes with ease. As a likely lottery pick in June’s NBA Draft, Bridges could make an immediate impact for any team. Until then, the bright lights of the Big East Tournament championship game looms tomorrow against Providence and Bridges will look to make another mark before the NCAA Tournament looms in the horizon.